The new Dell G7 is a definite upgrade that brings a bigger and better display to the table but falls short in other ways. 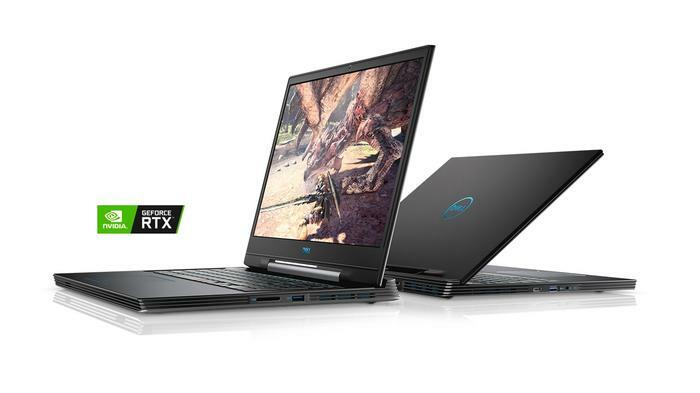 Usually better-known for its Alienware sub-brand within the gaming space, Dell has quietly been making headway when it comes to gaming laptops that fall under their own brand. 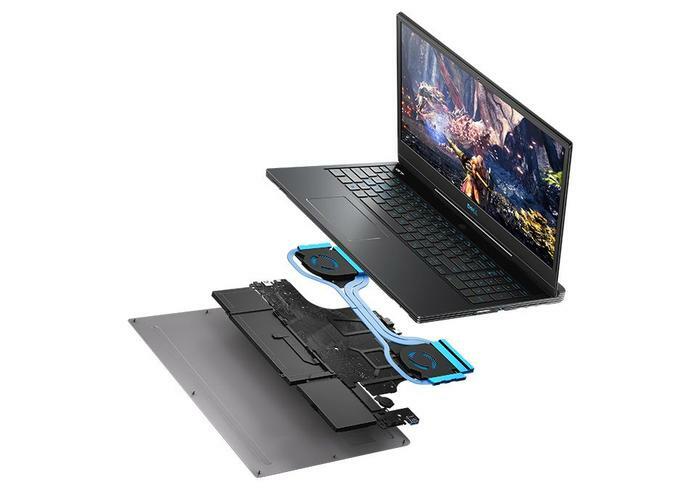 Their logic: not every customer looking for a gaming laptop needs the extra bells, whistles, aesthetics and features that come part and parcel with gaming brands like Alienware. Sometimes, you just want gaming-grade specs in a normal-looking body. If that’s you, the Dell’s G-Series laptops are going to sound pretty good. We liked the sound of last year’s Dell G5 - and this year’s G7 isn’t far off the mark either. It’s a definite upgrade that brings a bigger and better display to the table but falls short in other ways. What Did We Think Of The Dell G7s Look and Feel? Though it feels like the look and feel of the Dell G7 does begin to creep in on Alienware’s territory, it does come across as somewhat-subdued by comparison. To the eye and held in your hands, the Dell G7 is a chunky laptop but it’s still nice enough to look at. What’s more, glowing keyboard aside, there aren’t that many obnoxious giveaways that this thing is a gaming laptop. In many respects, the G7 looks closer to your standard 17-inch workhorse than it does something from Alienware or Aorus. And in terms of how the experience of actually using the Dell G7 holds up, there’s plenty to like here. The keyboard feel isn’t quite the same as a full-blown mechanical but it feels tactile enough for everyday use. I was a little less thrilled with the trackpad on the laptop, which was often less responsive (and an inch too far to the left) than I expected it to be. The display on the G7 is also a little underwhelming. It’s only FHD and it’s not hard to imagine how it could be better, brighter or thinner-bezeled. The color scheme of the unit isn’t as striking as the G5’s was and the loudness of the fans frequently proved a bit of an issue.The 4-zone RGB is also limited in the obvious ways. The Dell G7 also falls afoul of the usual portability trap encountered by gaming laptops in that it is easy enough to fold up and carry but it’s also bulky and hefty enough that you’ll want to avoid doing so for as long as possible. While it is, technically, very cool that Dell have managed to cram an RTX 2060 into this thing, any appeal is undercut by the fact that the OEM have opted to abandon all the gains made by the Max-Q configurations found in last year’s laptops. It feels very one step forward, two steps back. What did we think of the Dell G7’s performance? When it came to performance, the Dell G7 held its own for the most part. However, it also felt hamstrung by the limited amount of RAM inside it. Though it proved capable of maintaining a high (50+) framerate when it came to games like Devil May Cry V and Monster Hunter: World, the performance here wasn’t always as stable as I’d like. When it came to games like Total War: Warhammer 2 and The Division 2, the Dell G7 fell short and suffered significant frame-rate drops during more-intensive sequences. 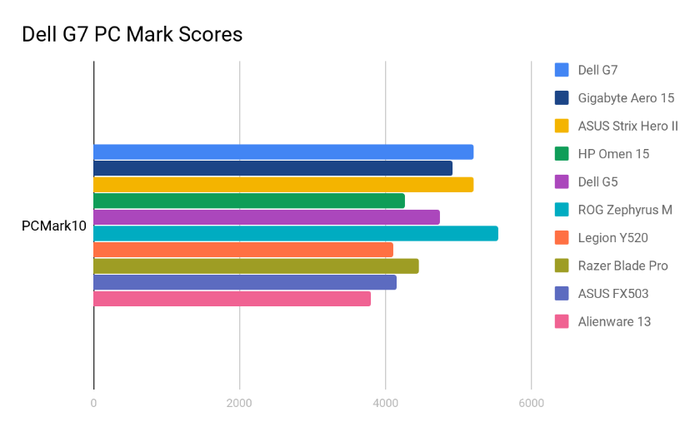 When it came to our usual palette of benchmarks, the Dell G7 fared fairly well. It rated second place behind ASUS’ ROG Zephyrus, beating out plenty of alternatives from HP, Razer and Lenovo. 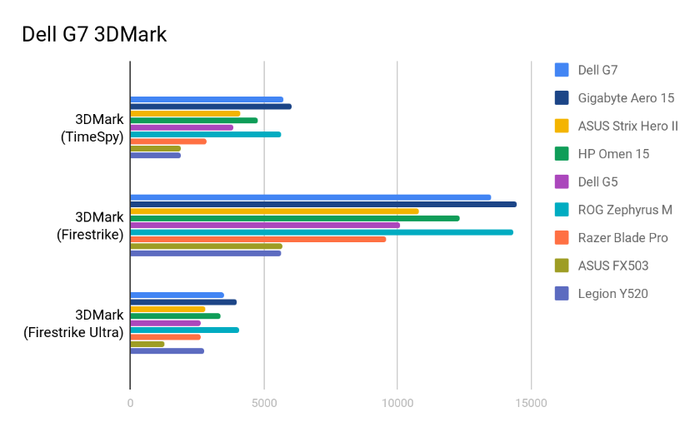 As for 3DMark, the G7’s track-record was more modest. It lagged behind the new Aero 15 and others on TimeSpy, FireStrike and FireStrike Ultra. As for ray-tracing benchmark Port Royal, the Dell G7 performed reasonably well but fell short of the mark set by the new Gigabyte Aero 15. Then, when it came to VR, the Dell G7 held its own but didn't go so far as distinguish itself. It lagged behind the Zephyrus M, Omen 15 and others - emerging as more middle-of-the-pack than anything else. I think you could probably still get away with a fair amount of VR experiences using this thing but if the question is about the Dell G7 being the best VR machine you can buy, the answer is a negative one. It’s VR-ready but it’s no powerhouse. When subjected to the Battery Eater testing tool, the Dell G7 took 1 hour and 56 minutes to dissipate its entire charge. This test is designed to burn the battery down as fast as possible and show off the minimum amount of battery life you can expect. 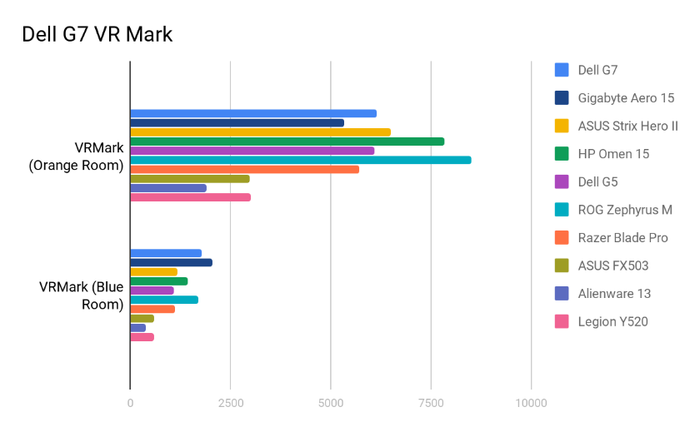 In context, this result is below the average relative to similar gaming laptops we’ve reviewed in recent months. The Bottom Line: Should You Buy The Dell G7? There’s plenty to like about the Dell G7 but, across the board, it falls just that little bit short of the mark. 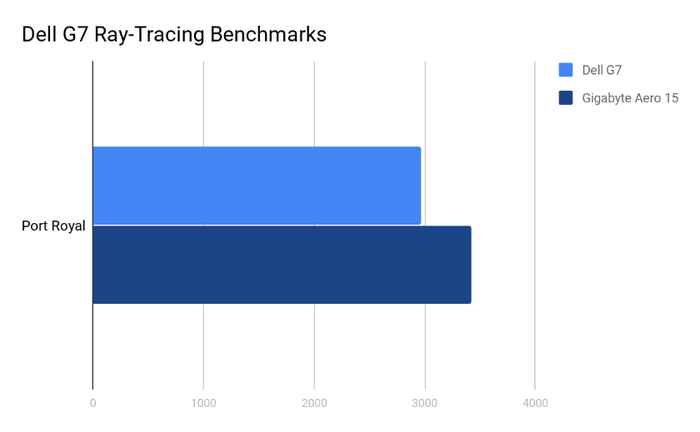 Though it does offer good value for money when you consider the screen size and RTX graphics, it’s not quite cheap enough to justify performance that’s not quite good enough. You can definitely play games on this thing but if you’re already committed to spending $2600, there’s no shortage of reasons to look elsewhere. There’s some value here - but unless you’re sold on the more oblique looks and larger screen size alone, you’re probably going to get more out of the alternatives being shopped by Razer, MSI and others. If you’re after a big-screen RTX-ready gaming laptop, this is that - but it’s far from without compromise.